Cataclysm Enters Beta, Patch 3.3.5 Goes Live and an Update to the Shaman Round Table Event. 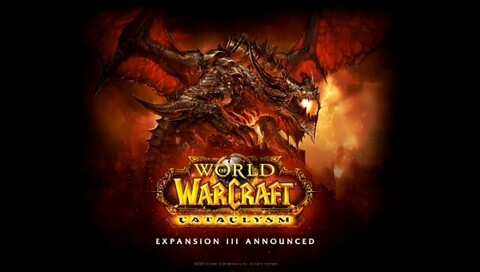 Yesterday came the news that Cataclysm was entering it’s closed beta phase of testing. In addition to this, the NDA has also been lifted so people are free to talk, post and blog about the information that has previously been leaked or becomes available in the future. You can read the official press release here. Furthermore, due to the lifting of the NDA, the official beta forums are now public so for any information hungry individuals, you can trawl through them here. As a quick reminder for anyone still in the dark, you opt in for the Cataclysm beta through the battle net home page. This doesn’t guarantee you beta access of course, but it is the system they’re using to handle requests. Patch 3.3.5 finally hit the EU servers yesterday which also meant the Ruby Sanctum went live. Sadly for the EU guilds out there, due to highly extended down time the “race” for world first kills was heavily bias in favour of the US players. I’ve already have a couple of people ask if I’m going to be writing strategy guides for this instance. The sad and simple fact at the moment is that my guild haven’t been raiding. We have two raids pencilled in for early next week and I’m crossing everything that these will be Ruby Sanctum raids. While I will be forming some kind of tactics in advance for our own raids, I’d never publish these without having first hand experience of how they work in practice. In summary, I’ll try and get something sorted out but I’m very dependent on other people. 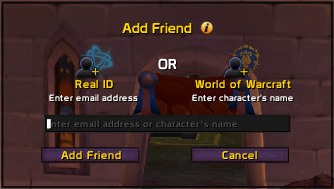 In addition to the Ruby Sanctum, Blizzard’s new Real ID system was implemented. I’d had the pleasure of using this throughout Starcraft II’s closed beta and I did like it there. However I was playing there with my boyfriend and a couple of close, real life friends. The problem is the awkwardness of being asked for your Real ID from someone that you’re not comfortable with. Many players may keep some alt characters unguilded for a reason. For people who play the auction house a great deal, you can risk losing the anonymity of your bank characters. This can be a huge issue for those aggressive economy players (of which I consider myself.) A couple of friends on my server know which bank alts I play as but as a rule, I don’t like any connection between my bank alts and my main characters to be formed and indeed, I go to great lengths to ensure they can’t be tracked. For close friends, it’s a great idea without doubt. I can now chat to a couple of real life friends that play on other servers. Furthermore I can keep in touch with those same friends when they’re in Starcraft II. Never the less, there is a certain weirdness about trying to politely decline giving out your personal details to people you consider more acquaintances than friends. The contributors have been asked to both promote the event and try and get some feedback from our readers as to what kind of topics you’d like to see discussed there. As such, if anyone reading this has any specific contributions to make regarding potential subject areas, leave a comment at the bottom of this update and I’ll ensure that the suggestions reach the people in charge. Finally, as I’m sure you’re all now aware, I’m back into the swing of blogging. I’ve finally got everything I need to blog running on my ipad which means I’m no longer tied to the desktop PC. (A huge boon with the current summer temperatures we’re enjoying in Denmark.) I’ve got a few articles in the pipeline (including that long promised guide to the feat of strength; Insane in the Membrane) but once again, I’m asking that if anyone has any specific topics they would like to see discussed here, they let me know. These topics don’t have to be restricted to elemental shaman areas so throw your suggestions out there and I’ll do my best to oblige. I am trying to finish off all the boss guides for Icecrown Citadel, including the additional of the heroic guides but they can be quite lengthy to produce so bear with me please.